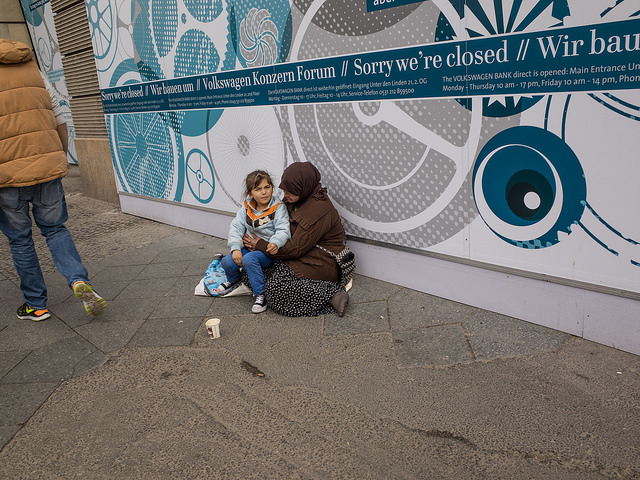 Some EU countries recognize the Roma as a national minority. However, they still remain racially discriminated against in education, employment, housing, and other societal domains, writes Martin Demirovski. Martin Demirovski is a Roma rights advocate in Brussels. He previously worked for both the European Parliament and the Open Society Foundations. The 8th of April is International Roma Day, widely celebrated in all countries where the world’s 12 million Roma live. It is a day when Roma celebrate the vision of the older generation of Romani politicians, to establish the foundations of Romani empowerment in Europe. Thanks to them and their vision, we are able to witness the eagerness of Europe’s Roma to struggle for equality. This day is about celebration, political debate, and glorifying the determination of the Roma to keep up their fight. This year, Roma Day might not be as festive as in the past, because recently, the Roma international scene became confused by a political battle between two sides of the European Roma movement. On one side, we have the European Roma and Travellers Forum (ERTF) which is a representative Roma NGO in Europe, based in Strasbourg. It has a cooperation agreement with the Council of Europe, and its legitimate bodies. On the other side, there is the new European Roma Institute, a Council of Europe and Open Society Foundations (a private foundation established by George Soros) joint initiative. The conflict begins with the fact that the Secretary General of the Council of Europe (CoE), Thorbjørn Jagland, decided to cancel the cooperation contract with the ERTF established in 2005, and start a new one, with a newly-developed initiative by the Open Society Foundations. In general, political clashes can lead to positive long-term results, but this fight is rather controversial. The vision for the establishment of ERTF, as a representative Roma NGO at European level, goes back to 2000, under the initiative of Finnish President Tarja Hallonen and international Roma organisations. The European Roma Institute is an initiative which aims to become a creative hub, policy advisor and public communicator on issues related to Romani identity, Romani self-esteem, Romani culture, racism and Roma policies. So, it seems the two are very different in scope, and subsequently could rather complement each other as they serve different purposes. However, there is a visible political conflict between the two initiatives. The root of the conflicts begins with the Secretary General of the Council of Europe’s choice to cancel an existing cooperation contract with a 10 year-old organisation, which serves the purpose of political representing the Roma in Europe. There are questions marks, some made public, as to why Jagland wants to begin a new contract with an initiative that has been discussed with a limited number of people. For example, international Roma representative organizations and others did not have a chance to express their views. Some of the comments suggest that a lack of transparency could lead to unsustainable results. Furthermore, initiatives which compliment Romani culture could endanger the Roma policy debate in Brussels by downplaying current priorities. Recently, George Soros and Thorbjørn Jagland praised the necessity of Romani culture, art and traditions being institutionalized. However, both seemed to forget that in order to be endorsed and successfully implemented, initiatives, especially those that are Europe-oriented, require a kind of 3D process of consultations, as well as the opinion and approval of international Roma leadership. Their idea of institutionalizing Romani culture as tool to fight anti-Gypsyism is brilliant, but policy institutes in general are linked to “values based representation”. In this case, for example, it needs to be linked to Roma representation. In my view, the European Roma Institute is a necessity, but should not substitute the existing Roma representation as is Jagland’s intention, by canceling the existing contract with the European Roma and Travellers Forum. Aiming to save the European Roma Institute, and further support the work of the European Roma and Travellers Forum inside the CoE structures, it might be useful to ask for the engagement of the European Parliament. The Parliament could come in as an institution to mediate this conflict, and launch a new public consultations process (public hearings) in Brussels. This, and some other consultation tools, could be easily organized to strengthen and further endorse the European Roma Institute within the merits of the EU Roma Framework, or the European Parliament’s campaign to fight anti-Gypsyism. Wider support from Roma organizations, Parliament, and others could cement the path for the European Roma Institute becoming Europe’s initiative. As such, an additional European Commission, and member states financial commitment, could be generated too. The European Roma and Travellers Forum must continue to serve. It needs to be further challenged, in order to match its reputation for being the Roma’s parliament within Europe. Soon, the Forum will have new elections – an opportunity for all Romani groups in Europe, including the Institute’s people, to get involved and influence. Democratic elections in the European Roma and Travellers Forum were massively advocated. Soon it should be their time to be practiced, and praised. Therefore, political support from the European Parliament to ERTF must come in too. The European Parliament could second a small group of MEP observers to monitor the democratic processes of the ERTF’s elections. The European Parliament’s “blessing” to ERTF would be a moment of revolution. If International Roma Day is normally used to celebrate successes, let’s hope that the next Roma Day, in 2016, will be a celebration of signing a common agreement between the European Roma Institute and European Roma and Travellers Forum to work together, under one roof. I wish Europe a happy International Roma Day, and much more understanding and opportunities for its largest minority population!